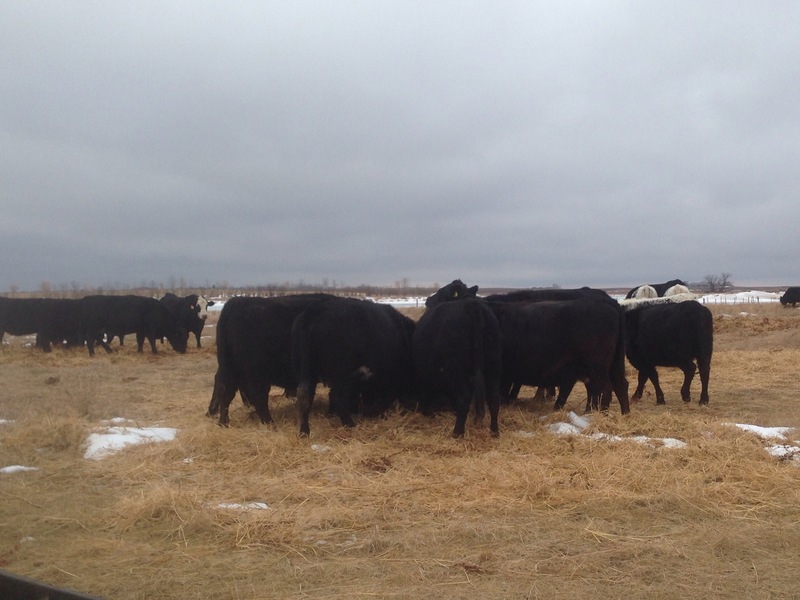 Winter’s Reprieve | Loch Lomond Livestock Ltd.
We have been having a wonderful stretch of above normal temperatures which makes winter much more bearable. This time of year we are in maintenance mode. The cows are still out bale grazing, and the yearlings are still out in a small pasture near the yard instead of in a corral like they would normally be by this time of year. Looks like there will be even less manure than normal to move next summer. The ewes are near the yard but being fed out on pasture as well. We use a combination of bale feeders and rolling out bales for the ewes. This allows us to feed them enough for a few days at a time but still making them clean up their feed. 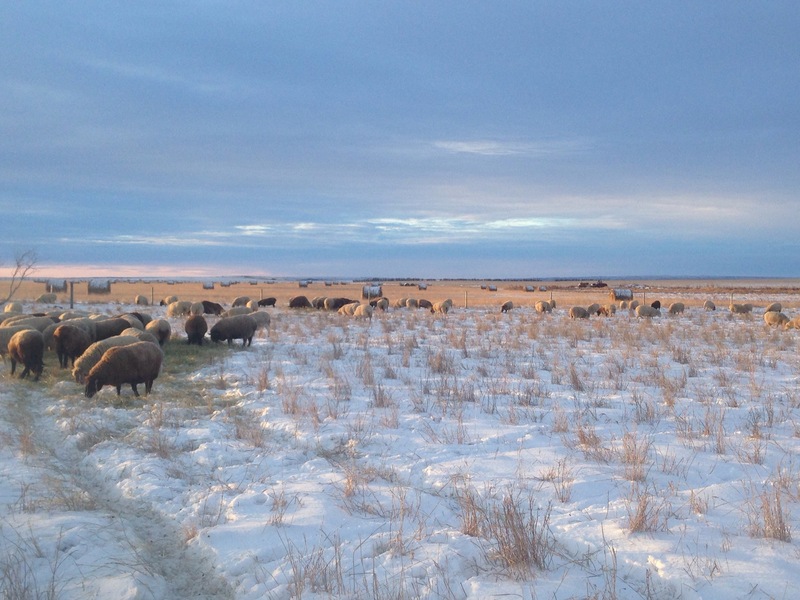 As you can see from the picture, the ewes still spend a lot of time grazing on the nice days. 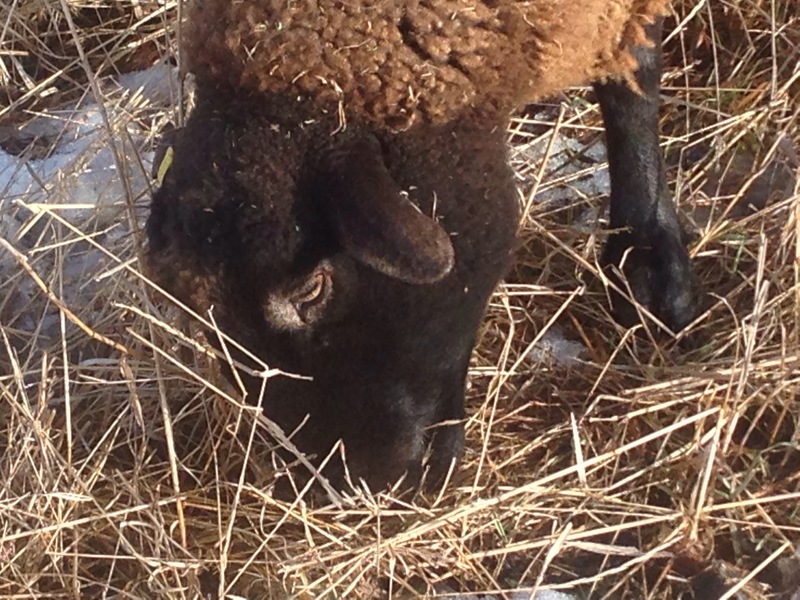 The ewes use their dexterous lips to grab the tasty blades at the bottom of the plant. They will paw through snow to do this, but in this weather, there is very little pawing required.